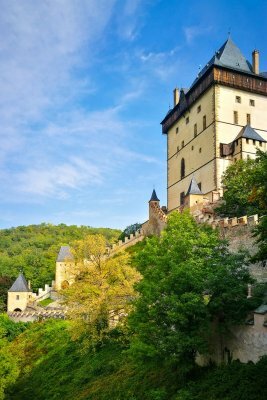 Are you planning your Prague trip and looking for an alternative tour? Look no further! 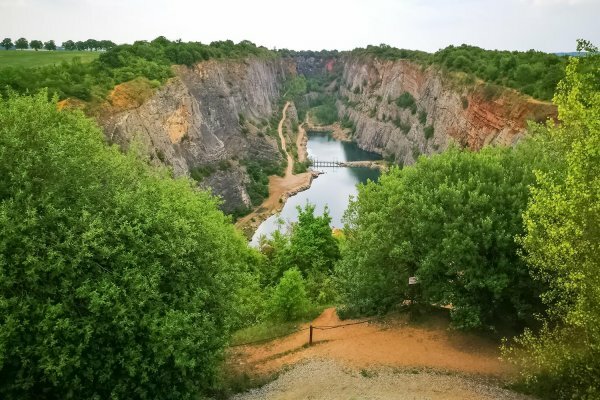 This small-group hiking tour will take you on the best one-day hike you can do near Prague. 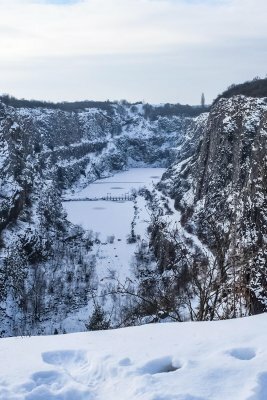 You will hike in one of the most beautiful parts of the Czech Republic called Bohemian Karst (Cesky kras). This protected nature area stretches along the valley of the Berounka river between south-western edge of Prague and the town of Beroun. 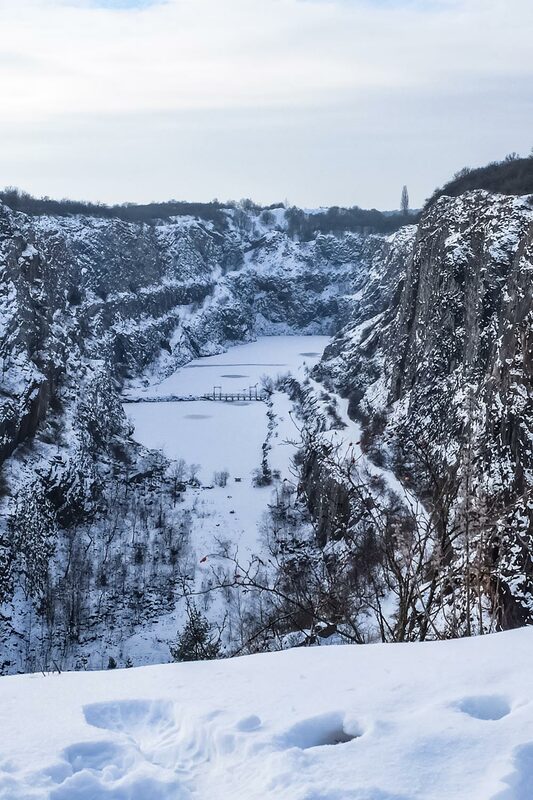 You will see the famous medieval Karlstejn castle and the old limestone quarry Velka Amerika which is also known as the “Czech Grand Canyon”. This is a great day trip from Prague for all outdoors and nature lovers! 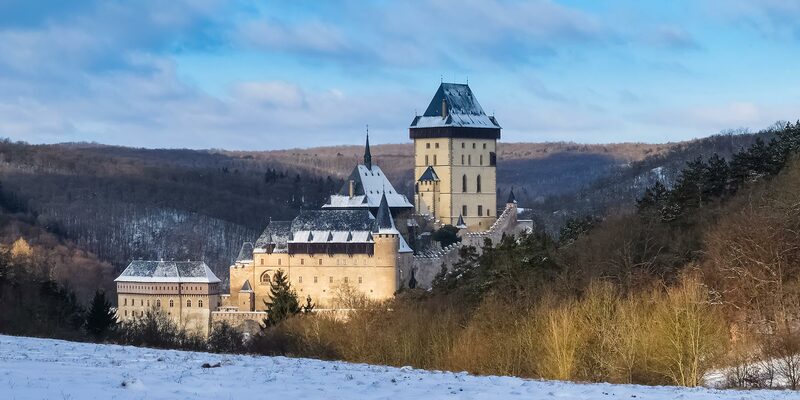 PLEASE NOTE: This trip does NOT include the tour of the interiors of the Karlstejn castle. 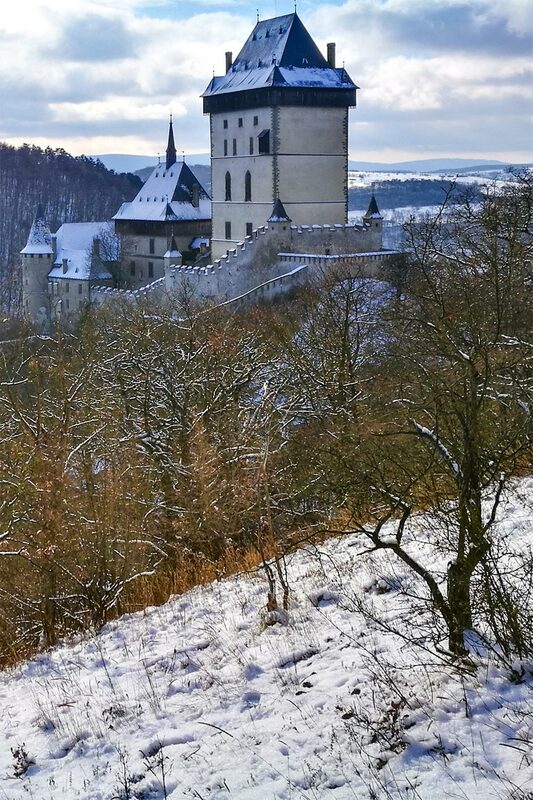 However, the castle is more impressive from the outside and you will see all the admission-free parts of the castle. Your local guide will meet you at your Prague accommodation at 8:30 am. In case there are 2 or more parties, a meeting point will be arranged (detailed instructions will be emailed to you). 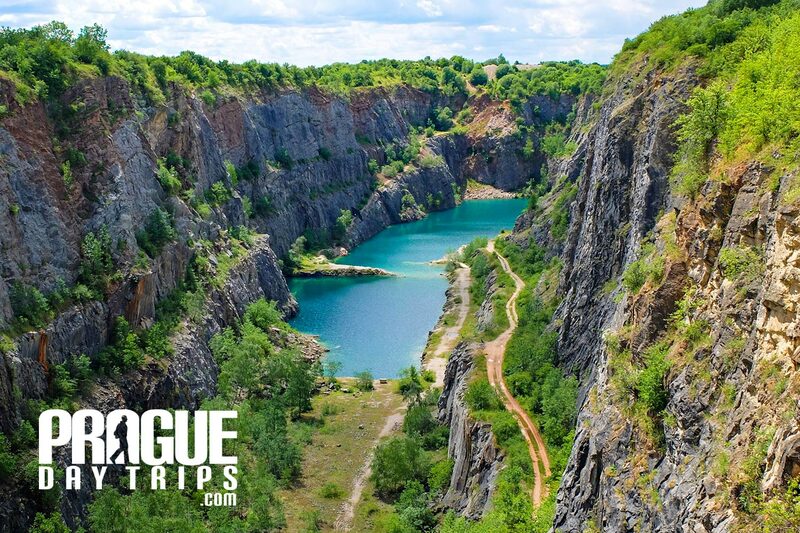 You will travel from Prague by train for about 30 minutes to the village where the hike starts. 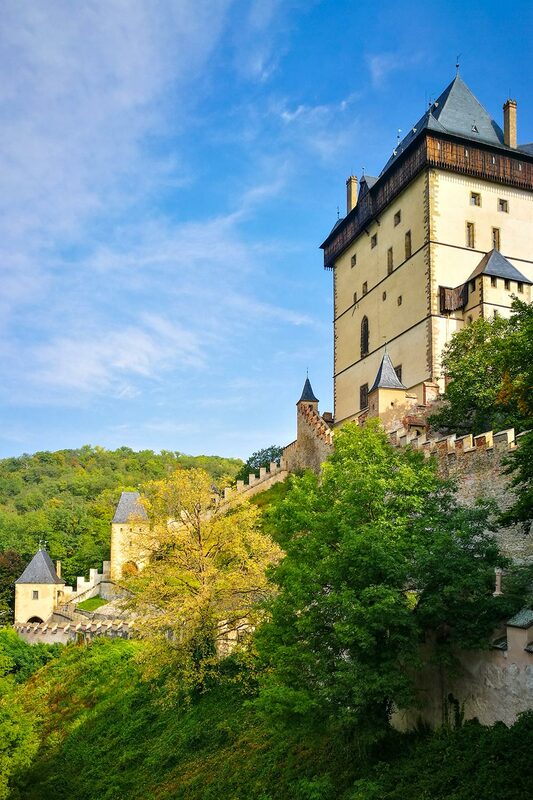 The first highlight of the hike will be a magnificent view of the Karlstejn castle. After taking some great pictures, you’ll carry on walking to check this pearl of gothic architecture up close. 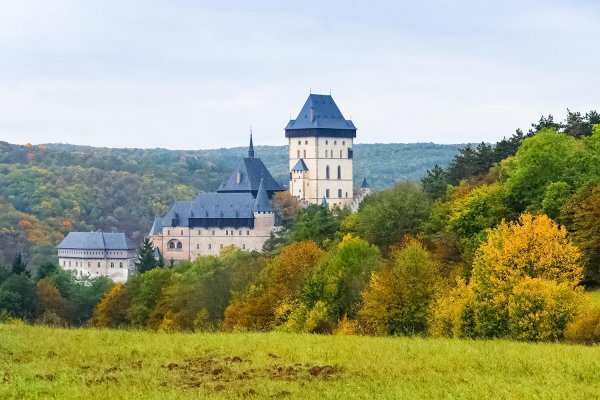 It was an unconquerable fortress safeguarding the Imperial Crown of the Holy Roman Empire, the Bohemian crown jewels and ancient holy relics. Nevertheless, its defenses had a secret strategic weakness, a hidden Achilles heel which you will learn about. The hiking tour does not include the guided tour of the interiors of the castle however, it might be added if you are interested. 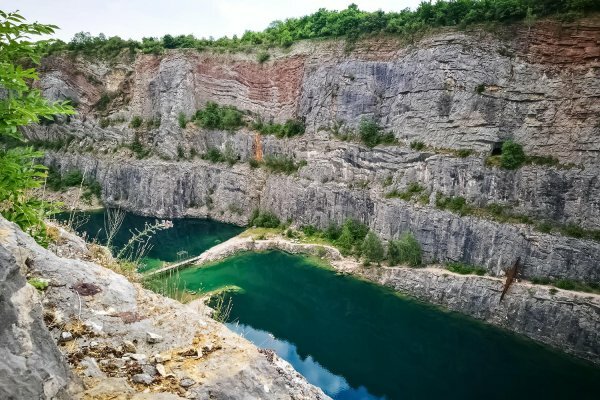 After leaving the castle we will hike across the forest to see the three old limestone quarries. 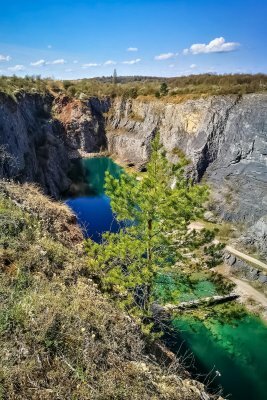 The best known is the 100 meters/300 ft deep and half a mile long Velka Amerika quarry (Great Amerika) with a lake at the bottom. 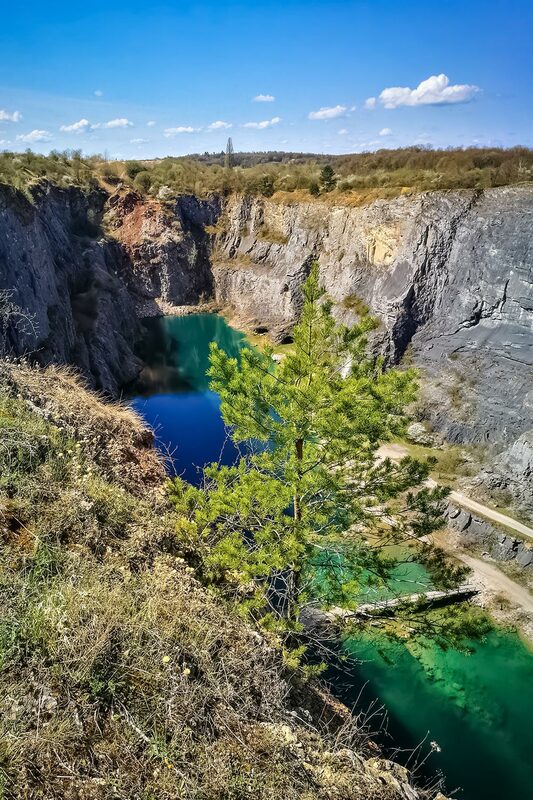 You’ll also see “Mexiko”, also known as the quarry of political prisoners and last but not least Mala Amerika (Little Amerika), a turquoise eye hidden in the forest. Your guide will bring water and snacks for you. There is a possibility of a restaurant meal after the hike (not included). Return back to Prague by train. 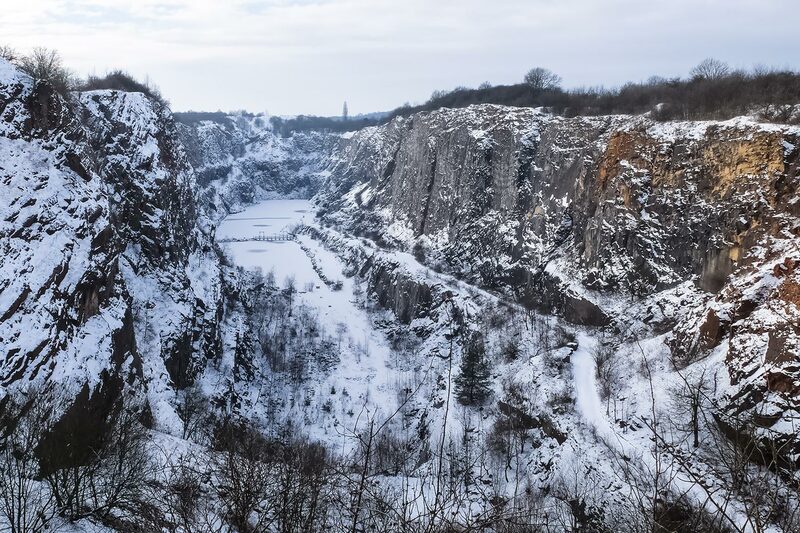 This is a full-day hiking tour, you will come back to Prague around 6 pm.